The euro today dropped to new 2019 lows against the US dollar in the early European session as the selling pressure on the single currency mounted. The pair reversed its losses later in the session as investor sentiment shifted and the US dollar gave up some of its earlier gains. The EUR/USD currency pair today fell to a new yearly low of 1.1257 before rallying higher and hitting a daily high of 1.1303 driven largely by changing investor sentiment. The currency pair’s initial decline was triggered by a risk-off sentiment as investors adopted a wait and see approach towards the riskier euro. The ongoing trade negotiations between the Chinese and US delegations in Beijing also contributed to the risk-off sentiment. 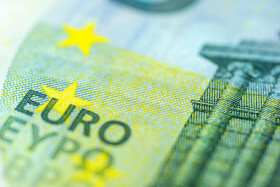 Analysts at Australia’s Westpac Bank released a report highlighting the fact that the EUR/USD currency pair was at the lower end of a range that has been in place since October 2018, which suggested that a bounce was quite likely. They pointed at the recent weak eurozone GDP data released by Eurostat as one of the reasons for the latest decline. The pair rallied higher shortly after hitting the yearly lows as markets priced-in the likelihood of a US-China trade deal and the aversion of another US government shutdown. The weak US NFIB small business confidence index also contributed to the rally. The currency pair’s short-term performance is likely to be affected by Jerome Powell‘s speech later today, tomorrow’s eurozone industrial production report, and the US CPI data. The EUR/USD currency pair was trading at 1.1297 as at 15:55 GMT having risen from a low of 1.1257. The EUR/JPY currency pair was trading at 124.82 having rallied from a low of 124.44. Tags: Business Confidence, EUR/JPY, EUR/USD, Eurostat, Eurozone, GDP, Government Shutdown, Jerome Powell, NFIB, Trade Wars, Westpac Banking Corp.